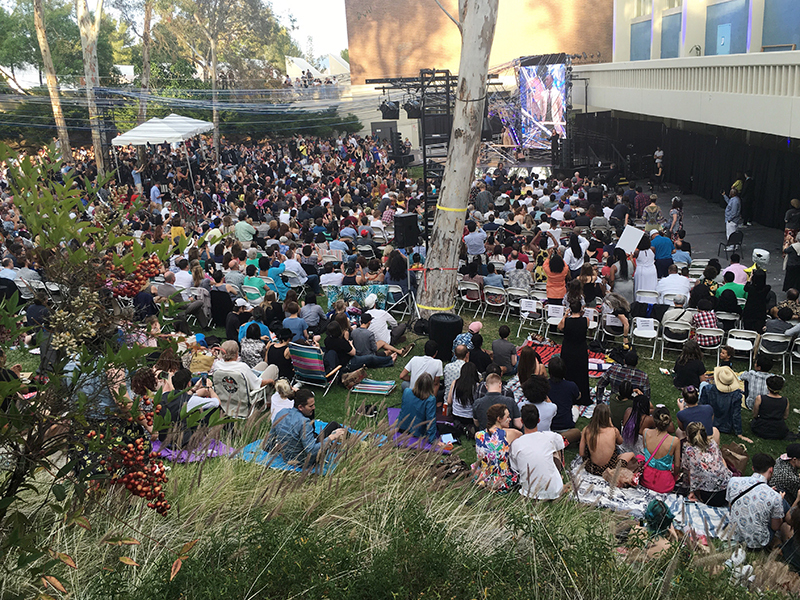 [CalArts] — On Friday, May 13, family and friends gathered on the CalArts campus for a joyous graduation ceremony to celebrate the Class of 2016. The event was marked by lively performances from CalArts' music and dance ensembles, creative costumes worn by some of the graduates and thought-provoking speeches by CalArts President Steven D. Lavine and honorary doctorate recipients, Academy Award-nominated actor and CalArts alum Don Cheadle (Theater BFA 86) and musician, composer and former CalArts faculty member Wadada Leo Smith. The graduation was followed by a reception in the Main Gallery, where guests enjoyed additional performances by the African Music and Dance Ensemble as well as the CalArts Salsa Band. 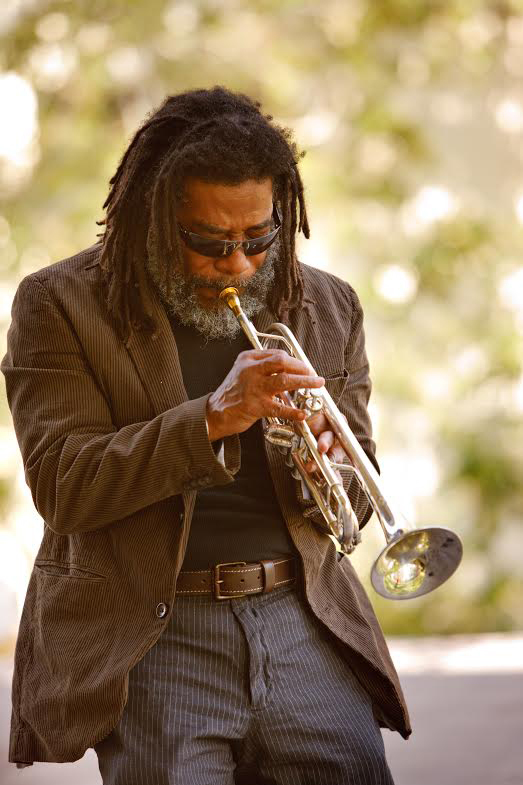 Trumpeter Wadada Leo Smith. Photo by Scott Groller, courtesy of CalArts. 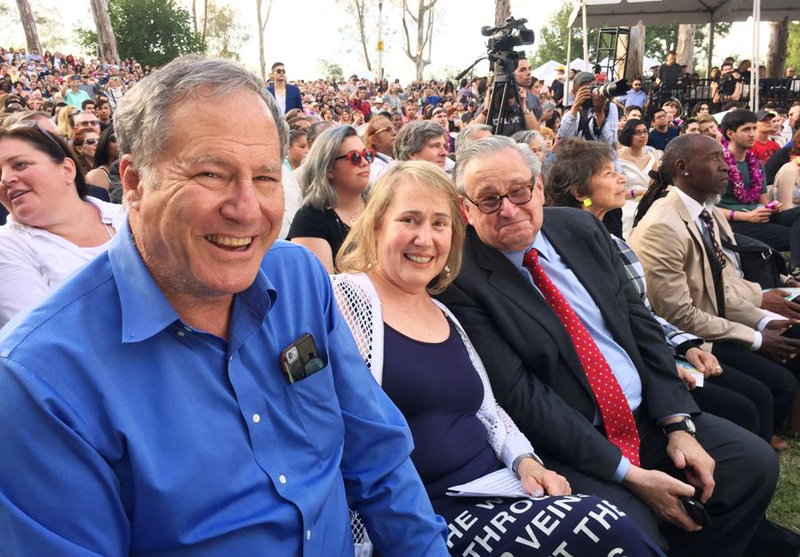 [CalArts, May 4] — Steven Lavine, President of California Institute of the Arts (CalArts), is delighted to announce that two distinguished performing artists will receive honorary Doctor of Arts degrees this year—legendary trumpeter, composer, improviser and creative music innovator Wadada Leo Smith, and award winning actor and filmmaker Don Cheadle. Until his retirement in 2013, the Pulitzer Prize nominated Smith was a faculty member in the Performer-Composer Program of The Herb Alpert School of Music at CalArts. A member of the CalArts Board of Trustees, Cheadle graduated from the Institute's School of Theater in 1986. He most recently co-wrote, directed, produced and starred in Miles Ahead, his tribute to jazz icon Miles Davis. 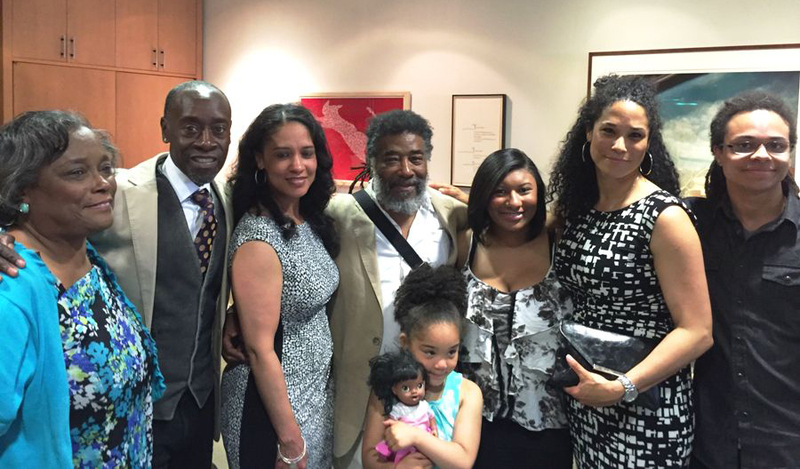 CalArts welcomes Smith and Cheadle back to campus to accept their degrees at the graduation ceremony on May 13. Active in creative contemporary music for more than 40 years, Smith is "one of the most vital musicians on the planet today," said Coda magazine. Called "haunting, meditative and transportive" by the Los Angeles Times, his new album with Vijay Iyer, A Cosmic Rhythm with Each Stroke, was released in March to great acclaim by ECM. This year, he was awarded Composer of the Year by the Jazz Journalists Association (JJA). Smith was a 2013 Pulitzer Prize Finalist in Music for Ten Freedom Summers — an expansive jazz work memorializing key moments in the struggle for civil rights in America. He was DownBeat's 2013 Composer of the Year, and received JJA awards for Musician of the Year and Trumpeter of the Year in 2013. A respected and influential teacher, from 1993 to 2014, he was the coordinator of African American Improvisational Music within the Performer Composer Program at CalArts. Smith is a member of the Association for the Advancement of Creative Musicians (AACM). 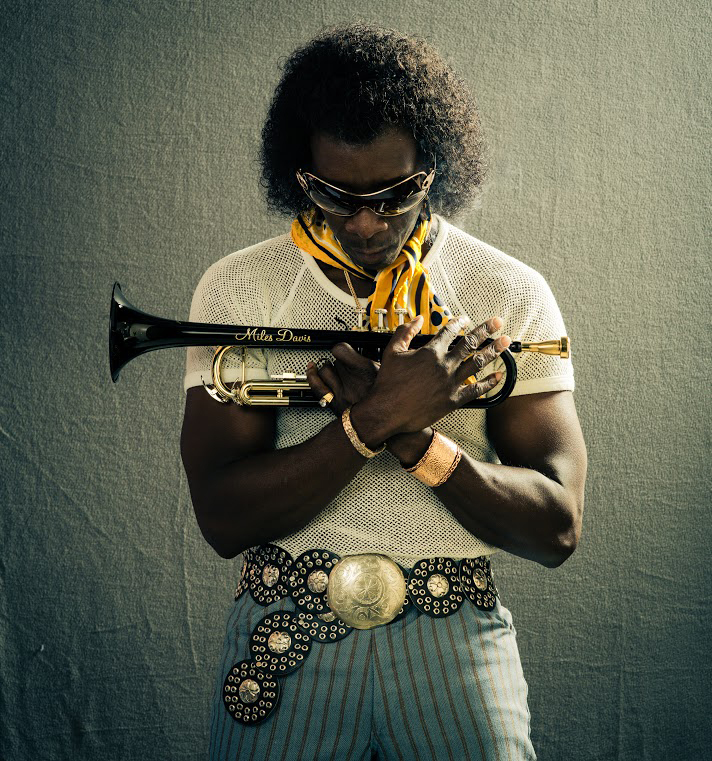 Don Cheadle as Miles Davis in "Miles Ahead." Photo by Brian Douglas, courtesy of Sony Pictures Classics. The Chicago Tribune praised Cheadle "as one of a handful of American actors who, practically everybody agrees, is great." Known for vivid portrayals of compelling characters, his roles include the Oscar-nominated turn as real-life hero Paul Rusesabagina in Hotel Rwanda and his Golden Globe-winning, Emmy-nominated performance as Marty Kaan in Showtime's House of Lies. Of his portrayal of Miles Davis in Sony Pictures Classics' Miles Ahead, The Hollywood Reporter asserted that Cheadle's characterization "nails the subject's nicotine-scratched rasp and his eccentric irritability and paranoia with discerning understatement." In May, he'll make a return appearance as War Machine in Marvel's Captain America: Civil War. Off screen, Cheadle received a BET Humanitarian Award for the cause of the people of Darfur and Rwanda, and shares the Nobel Peace Prize Laureates' Summit Peace Award with George Clooney for their work in Darfur. California Institute of the Arts has set the pace for educating professional artists since 1970. Offering rigorous undergraduate and graduate degree programs through six schools — Art, Critical Studies, Dance, Film/Video, Music, and Theater — CalArts has championed creative excellence, critical reflection, and the development of new forms and expressions. As successive generations of faculty and alumni have helped shape the landscape of contemporary arts, the Institute first envisioned by Walt Disney encompasses a vibrant, eclectic community with global reach, inviting experimentation, independent inquiry, and active collaboration and exchange among artists, artistic disciplines and cultural traditions.